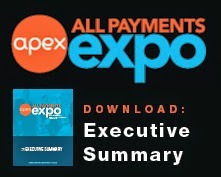 The APEX team brings you your weekly payments round up. Below you will find recent industry news that we found compelling and felt that we needed to share with our readers! Enjoy. With e-commerce not turning into a big business for many retailers despite continued robust growth, the need for omni-channel retailing has emerged. The entire apparel industry is gradually shifting towards this concept, which appears to be the future of retailing. Over the past 15 months, American Eagle has taken several steps towards the development of its omni-channel platform and all of them have shown good promise so far. Its “buy online and ship from the store” pilot program has helped it attract those customers, who could have shied away from the retailer if the inventory pool wasn’t integrated across all the channels. The initial roll out was slow, but the company soon went aggressive on its deployment. In its Q1 earnings call, American Eagle had stated that this service would be available in 100 stores by the back-to-school season. However, it had 255 stores offering this service at the end of Q2. Lamassu has reported its bitcoin ATM operators now process an average of $20,000-worth of bitcoin each month, while units placed in prime locations receive as much as $40,000–$60,000 in monthly transactions. Lamassu's survey estimated that its operators earn between $1,000–$3,000 each month on an average commission of 5.5%. This equates to annual earnings for ATM operators of between $12,000 and $36,000 per unit. Several bugs in Near Field Communication (NFC) payment systems have been found by security experts. NFC allows people to pay for goods and services by touching their handset to a payment terminal. But the inclusion of the technology on phones has proved useful to hackers seeking a stealthy way to take over a mobile phone. In most cases the bugs would give an attacker complete access to a device's data. The question "how do you monetize Snapchat" has finally been answered and it's going to open up a lot of possibilities for users. Snapchat has introduced Snapcash, a way to send mobile payments to friends using the image sending-then-destroying service. 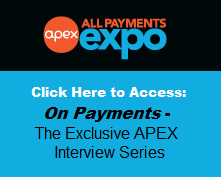 All Payments Expo Agenda Now Available!